Alongside about 60 other financial companies – including Select-a-pension and deVere’s UK business, to name a few – the UK arm of Holborn Assets temporarily halted operations in the country, while it worked with the FCA to agree a new process by which it conducted its defined benefit pension transfer business. The agreement with the FCA is, Holborn understands, the first case of a company returning to the fore after the recent FCA clampdown. Holborn Assets is still authorised by the FCA but having made a series of changes to its practices, the company said that it now has “across the board FCA approval”, meaning it will also resume offering advice on DB transfers for UK-based clients, based on the procedures that have been agreed between the business and the FCA. Bob Parker, chief executive of Holborn Assets, pictured L-R on the right with Holborn Asset’s recently-appointed MD, explained to International Investment the process by which the company reached an agreement. 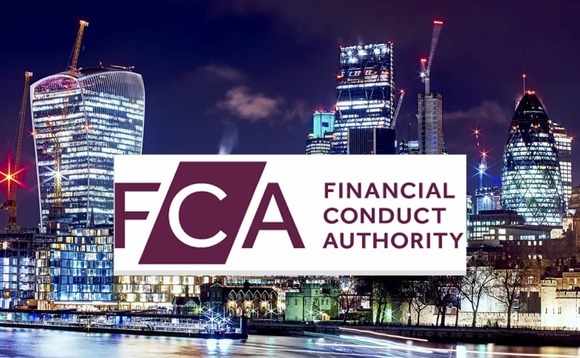 The agreement with the UK regulator will see Holborn Assets UK operation conduct the defined-benefit pension business but have all of its transactions countersigned by another FCA-authorised firm. “The FCA has been brilliant throughout the process,” said Parker. “By agreeing to have the defined benefit business countersigned by an external firm, it gives the regulator that added assurance. Parker described the return to UK defined benefit business as “great news for us in addition to the wider industry”. “Having temporarily paused advisory work in the UK in May on advice from the FCA, we are proud to be working in the country again,” he added. “We will continue working with the FCA and with immediate effect we are now back to advising our wealth of clients on how they can make the most of their DB pensions as well as their wider personal finances. We will also champion the new and careful FCA guidelines now in place to monitor risk in pension transfers more closely. Holborn Assets is a family-owned and operated global financial services group and financial advisory firm based in Dubai. Established in the Emirates for more than 20 years, the business has expanded to operate throughout Europe, the Middle East and Africa. It has more than 400 employees worldwide, including 120 financial advisers. Holborn Assets is licensed by the UAE Ministry of Economy, Financial Conduct Authority in the UK and the FSB in South Africa. The business is registered on the UAE’s Insurance Authority (IA) List within the Insurance Broker category. The core service of the UK arm of Holborn Assets Ltd is the provision of retirement and investment planning to clients in the UK and overseas. The company provides specialist pension transfer services to clients of other UK regulated financial advisory firms, who are not authorised to provide this advice, as well as directly to members of the public.